I’ve always been a believer in the beauty of a great bath. Soothing and relaxing, it can help to heal the stresses and anxiety of a bad day. That being said, I also don’t believe that throwing a bath bomb in the tub solves all your issues associated with mental illness. Self care – however you practice it – is just one part of the picture. Therapy, journaling, cognitive behavioral tools. All of these things together is how I battle my anxiety. 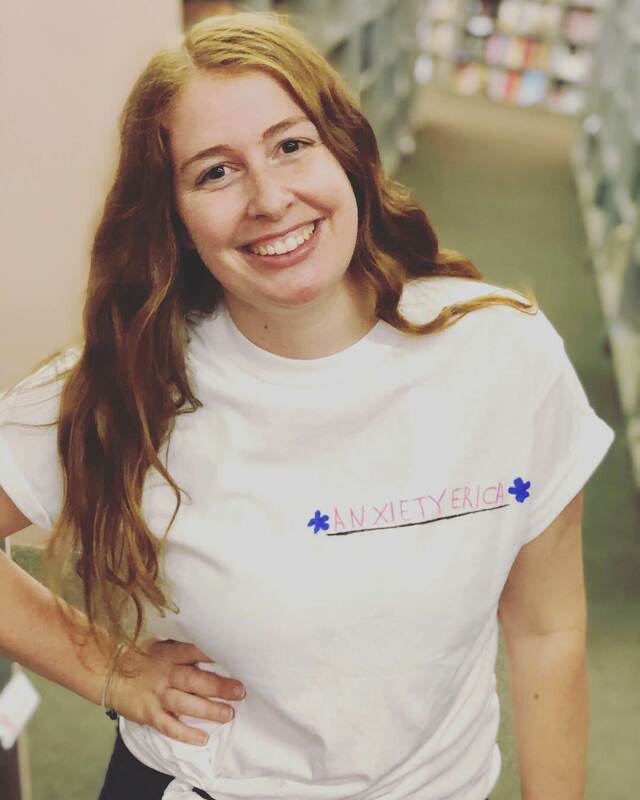 Suffering from anxiety and depression, Alyssa Vicari – the woman behind Wisteria Fox – truly understands the importance of self care. Baths always had the ability to calm, relax, and escape Vicari away from the stressers in life, so she created beautiful bath products that could help distract and benefit her skin. Eventually, she began selling her products so others could have this escape as well. Researching different brands that spread the important message of self care, I stumbled upon Vicari’s shop and got to speak with the woman herself. A kind, gentle soul with a passion for healing others, I was all too happy to purchase a box. Not only does Vicari sell these wonderfully scented products – she hand makes them. Vegan and cruelty-free, all the products are completely natural, using SLSA, an alternative to Sodium Lauryl Sulfate. But don’t worry, the bath bombs still foam and fizz to your heart’s desire. Derived from coconut and palm oils, they smell heavenly. This month, Vicari unleashed a new idea: Self-care boxes. For June, the theme was, “Goodbye Negative Mind, Hello Positive Life.” Loaded with a potential mix of bath bombs, bubble bars, bath soaks, body scrubs/shimmer scrubs, the box also comes with tips and tricks for coping and dealing with mental health issues/anxiety/stress, handmade stickers, drawings, and quotes. While my box was a little bit different than the others, here is what was inside! A soothing, salmon colored bath bomb, Mind Over Matter is scented with base notes of raspberry, cantaloupe, and watermelon, middle notes of jasmine and violet, and fresh top notes of grapefruit and kumquat. To say the least, it’s a serious plethora of scent. Last night, I used this bath bomb and it made for an extremely calming, content experience. I finished up watching GLOW on Netflix, and just soaked in the tub, smelling like an array of wonderful scents, it was great. As an added bonus, once your bath bomb is all fizzled out, there’s a Carnelian stone inside of it! While I’m not super informed about the healing benefits nor do I practice, I’m always up for learning new information! Providing protection from negative emotions from others and within yourself, the Carnelian stone is a great guide to a renewed love of life, increases inner strength, and grounds energies to the present. I even received a little note in the box on tips and best practices for using the stone! Scented with lemongrass essential oil and topped with dried lavender buds, this bath bomb is the perfect recipe for a Saturday night in. Notes of eucalyptus and spearmint are included for the utmost of relaxation. The first was this super cute ornament saying, Without rain, nothing grows. I just love it! I ended up hanging it on my cork board next to my bed, so I can see it when waking up and falling asleep at night. And lastly, there was a really creative activity in the box! I received a bunch of cut out, white paper butterflies with a note that told me to write a negative thought on the butterflies, place it under a thin layer of soil, water, and watch as that negative statement or word turns into something beautiful. What a wonderful message, I absolutely loved the idea and will be trying it out soon. I absolutely loved all the different products and activities in my Wisteria Fox Self Care box! It was so beautifully packaged – I would definitely consider ordering another one. It brought some excitement and healing to my day in a simple way. It’s so essential to practice self care and when a company – and its founder – are part of this wonderful mental health community, it seems like a no brainer. If you want to treat yourself and learn to practice more self care, order a Wisteria Fox Self Care box to help heal your heart and soul. Visit https://wisteriafoxshop.com/ to shop the many soothing smells. Do you have a specific routine for self care? Share your practices in the comments below.